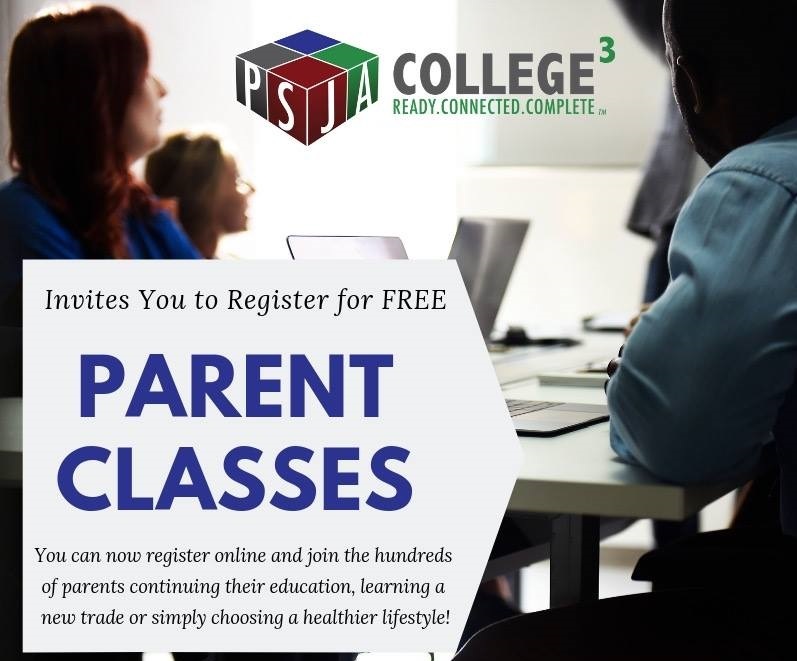 Online registration is now available for our FREE Parent Classes offered through the PSJA Parental Engagement Program! Join the hundreds of parents continuing their education, learning a new trade, or even choosing a healthier lifestyle. Want to start attending one of our free courses? ¿Quiere comenzar a asistir a uno de nuestros cursos gratuitos? Parent Student Portal for existing accounts. Portal para estudiantes con cuenta. Portal for teachers and instructors. Portal for administrators and site managers.